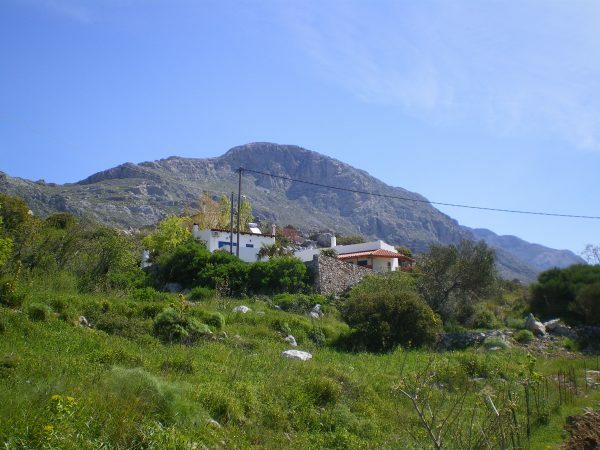 This is the place if you are looking for a “house and land” for under €100,000! 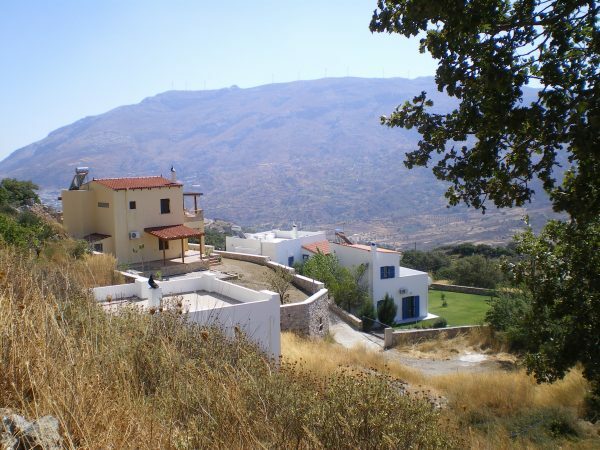 In an unspoilt part of central Crete, with magnificent panoramic views which can never be obstructed, you can choose a 300, 400, 500, or 800 sq.m. 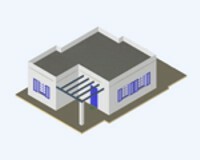 plot to combine with any of the proposed houses and so obtain a detached house with a garden. 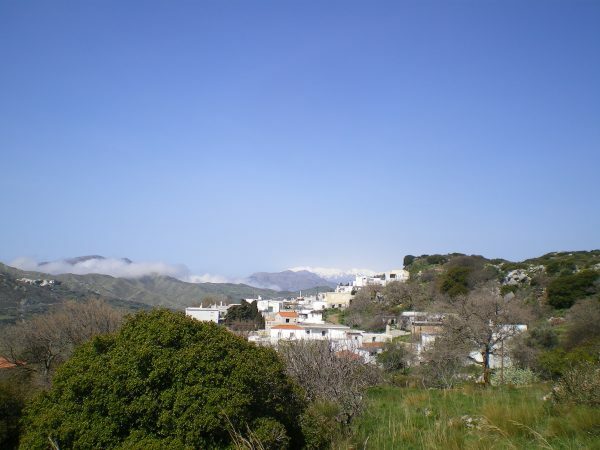 These plots are within walking distance of the villagevillage, with its friendly taverna on the square. The new asphalt road to the nearby Monastery of the Holy Spirit has now been finished, officially opened, and blessed by the Priest. 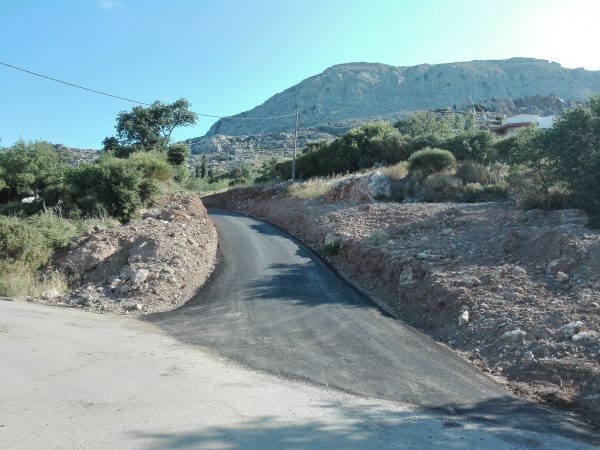 This will allow you to drive to the plots without going through the narrow road in the village of Kissos. a short drive from the beautiful south coast beaches like Triopetra, Ag. 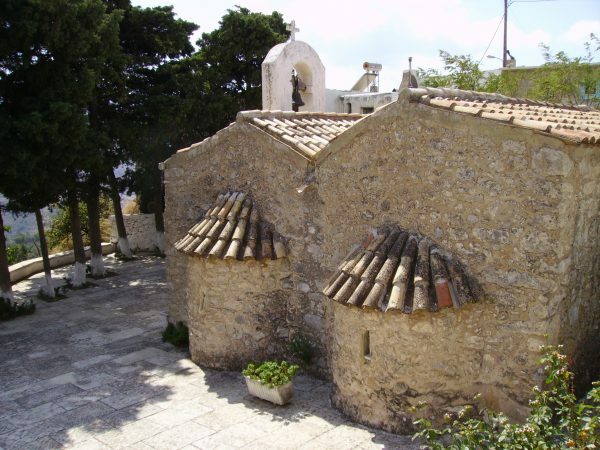 Galini and further to Plakias. 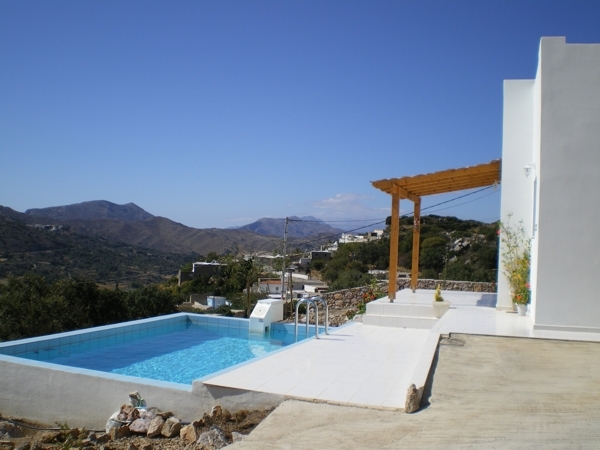 The plots have unobstructed views down to the valley below, and the villages of Aktounda, Vatos , Ardaktos, and the Sideros Mountains opposite. 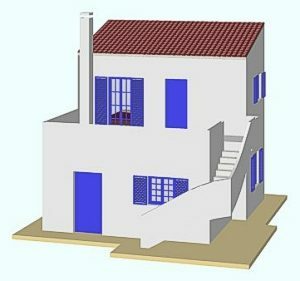 When you are ready to build we can introduce you to tried and tested builders who can build your detached house. Pictures not to scale. 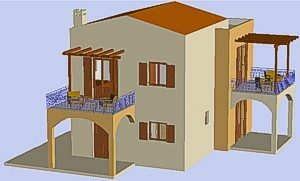 Click on pictures for further details of houses. The upstairs can be rented out. 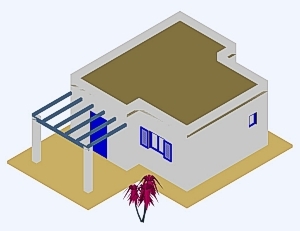 • 1 guest room* with adjoining W.C.
Prices depend on size of plot and type of house chosen. 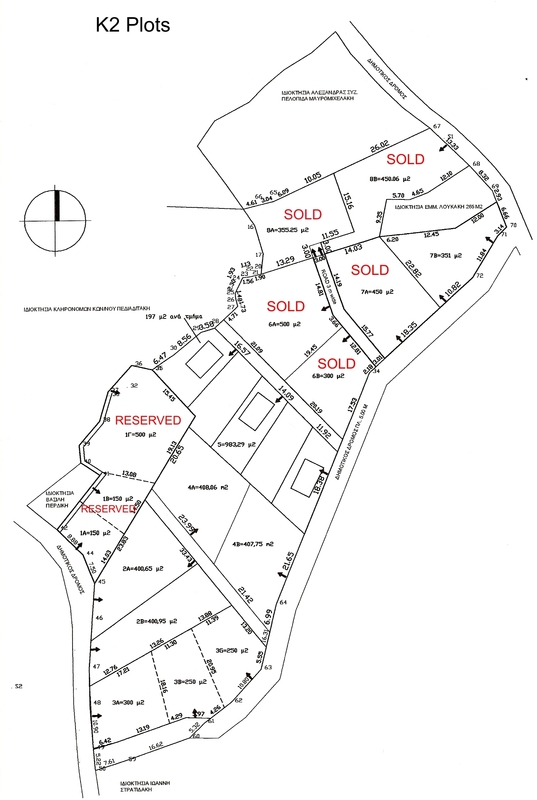 Some of the plots have already been sold and the owners have had their houses built, by the above builders, and have landscaped their gardens.